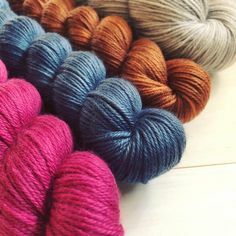 The Arctic blast has come to the Mid Atlantic region, and we’re having daytime high temperatures hovering around 21 degrees F. What better time to be working on a chunky blanket-style cardi? It’s serendipity. 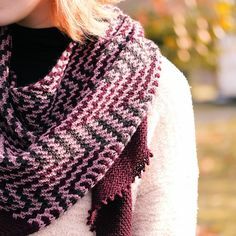 The Biggo yarn from Knit Picks is gorgeous and wintery in Dove Heather, and is knitting up for me at 12 st and 16 rows on US 10 needles. It feels great, and promises to be easy care, too, with 50% superwash merino and 50% nylon content. I love me a warm, quick sweater! I’m calling it Alluvium, which refers to loose, unconsolidated matter that has been eroded, reshaped and redeposited – kind of like yarn and stitches forming new shapes. Fabulous name! It perfectly describes the magic that yarn becomes with the aid of a needle of some sort. Looks like it will be beautiful. Happy knitting. Looks very cushy & warm…might have to check that yarn out!